-Super Cup, which takes place on the last day of every season! It is played by the winners of the Champions League and the Super League. And more! Thanks as ever for the continued support! - Negotiation feature will only be available in the last week of the season and players can only be directly transferred by Negotiations once per season. See you in the pitch! 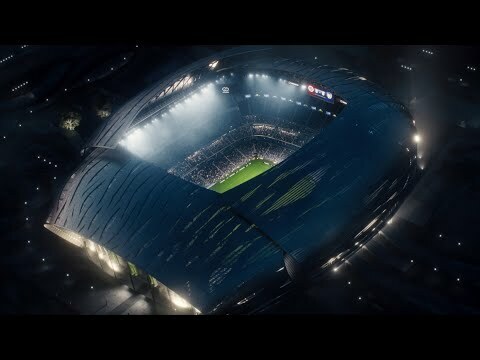 Top Eleven 2019 is here! TE2019 incorporates many suggestions from our community! 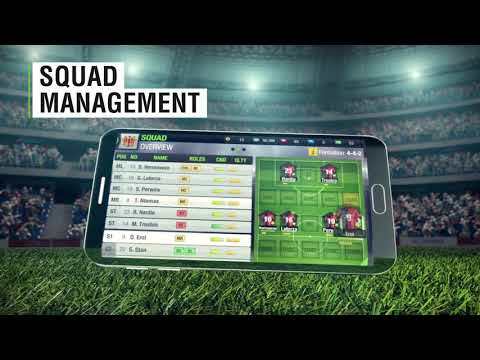 -Saving Formations: Save up to 4 formations in the Squad screen! -Arrows: Get your players forward or playing more defensively with Arrows! -Club History Tab: See the Club History of Friends and Opponents! -Profile Frames: Show off last season’s achievements with profile badges! -Top Leaderboards: We’ve added Top Player Leaderboards for all competitions! Plus, new music, images & more! Ready for a spooktacular challenge? Get your Squad ready for this Halloween event in which your team will have to take on and beat legendary national teams! Don’t miss the pre-event phase to learn about a new Challenge entry feature as well. More info in-game soon! Ready to try out a brand new experience with your Association? This update brings support for our next challenge, which requires passion and teamwork from you and your Association mates to achieve success! Make sure your mates are ready to contribute to a common goal, or create a new Association before the event! This update brings a very exciting event for Managers seeking strong competition: in “King of the Hill” you can immediately challenge any Manager on the leaderboard and take their trophy! To spice things up, defeated clubs can get their revenge and win the trophy back. More info in-game soon. Sign up in time for the event and dominate the leaderboard! We are preparing the next competition to test your international squad, but you can strengthen your National Team ahead of the next challenge with this brand-new feature! Play fixtures, collect country stickers and complete album pages to earn tokens and you can add new International players to your team! More details in-game soon! Get ready for 2 brand new challenges to sink your teeth into. - Here comes the Top Assists challenge which we created based on your feedback! Can your players top the Leaderboards in the League to earn great rewards? - Shortly after that comes our newest summer challenge! You better get your sunscreen ready because you’ll be playing on a sand pitch! Be ready to take on other Managers in a PvP competition. Stay tuned! - A personal trainer for your National team. You can find them on the National team player screen. 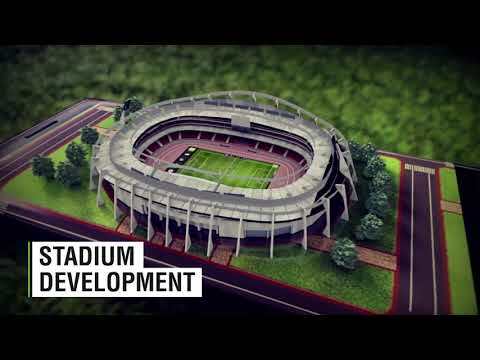 In Top Eleven you will be able to lead your National team in the upcoming International Cup! In this new feature, you will assemble and manage a second team, which has already qualified for the main tournament. In the Preparation Phase, you get one player for your National team after each victory. Once that phase is over, the International Cup will kick off and you’ll compete against other Managers’ National teams for a chance to win the special trophy and great rewards! Top Eleven’s 8th birthday is just around the corner, and in this release we’ve added support for a very special event. Celebrate this special moment with us and don’t miss great rewards! Stay tuned for more info in-game. This update also brings minor bug fixes. The latest version brings some technical improvements and minor bug fixes. This release brings exciting news to our Managers:- Added support for a new challenge! Get your top scorers ready and keep an eye on the game for more info.- Improved some functionalities and added new widgets to the Formation screen. These include: indicators for player roles on the pitch, special ability indicators on Set Piece Takers, and more! This release brings exciting news to our Managers:- In this time-limited feature, your Assistant Managers will offer each day specific offers for new players that can help you in the upcoming match! In this first update of the year, we bring news to our Managers:- Added support for a new challenge! Managers will hit the road with their Squads through Germany! In each city, they will have a chance to win exclusive rewards and unlock special offers. This release brings exciting news to our Managers:- Celebrate Top Eleven's 100th season with us! We've added support for a new challenge in which each goal from official competitions will help you earn exclusive rewards.- Watch out for special New Year surprises! Welcome to Top Eleven 2018! 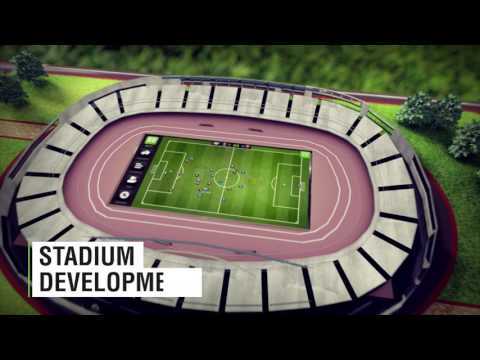 It comes with great updates:- A New Formation screen that gives you more control than ever! You have freedom to find the perfect formation for your squad and place your players exactly where you want. You also can compare your setup with your opponent's in a single view.- Updated in-game music, icons and loading screen. This latest version brings great news for our Managers:-The return of club history: Visit the Club menu to see your Season and All-Time history, including biggest win, all-time top goalscorer and more.-Added a new limited-time feature: Scouting Network! Hire a talented scout to find new players for your club! This feature will last for 6 weeks.-Bigger Squad Size: Squad sizes have been increased from 25 to 28 players.-A brand new Nordeus logo will greet you when loading the game! This version brings great news to our Managers:- Added support for a new challenge. Your young players will help you to compete for Tokens! This version brings great news and improvements:- Added a new challenge featuring Mourinho. Get ready to defeat him and compete for tokens!- Added a confirmation step when refreshing the scout list. This version brings support to a new challenge in the game. Get all your players ready, because every single goal matters in this next event. More info about the rules will be available in-game soon! This version brings some news and bug fixes:- Support for a new time-limited challenge that will take place over the coming weeks. Stay tuned!- Added an indicator for the special ability to the auction list.- Fixed a connection issue that occurred when Managers tried to sell their players.- Fixed the issue that caused some Managers to be unable to invite their Facebook friends to the game. Based on your feedback, this update brings a completely redesigned auction system! With the new Auctions, waiting time has been decreased, you'll have more players to bid on, and only spend Tokens and cash if you win! This version brings great improvements, including:- Your Squad will be greater than ever, with 25 players on signed contracts- Rules for healing loaned players in Associations are updated- More FPS on some devices and less battery consumption on othersAnd many bugs have been fixed, all thanks to your feedback! Festive greetings, Managers! New to this release:- New login rewards: New weekly sponsor deal! Get increasingly better rewards as boosters, Tokens and cash (plus bonus rewards) every day!- Some Managers can now buy official jerseys and emblems with real money on their mobile devices (feature being tested).- For under-manned clubs, the system now takes into consideration your tactics when adding new players.- Video offers are available from the player screen when you rest or boost a player. This new version introduces the following awesome improvements and bug fixes:- New Managers will experience an updated tutorial sequence, which provides better immersion into the Squad feature and Top Eleven Live Matches.- We've fixed the text wrapping issue from the last update that occurred in Chinese, Japanese and Thai.- We've fixed the log-in issue by making it faster and now it works as intended. This version brings great news and improvements as:- Youth Academy players (U-21) now have better quality and cost less tokens.- Better user experience with a faster login, improved memory consumption and timely match notifications.And some fixes as:- Connectivity issues when sending thanks to supporters after the Live Match- Quality percentage of the players.- Visual issues on Club Shop, League and Association menus. Welcome to TOP ELEVEN 2017! Enjoy new game assets, in-game music and don't miss the first ever Super League tournament!We have fixed graphical glitches on some devices. Your Assistant has more feedback and tips for you, Manager! The new Assistant Report feature is now live on your Home screen. Keep up to date with all the latest information on your club in one place!And this release also brings the fix to the issue during Live Match when "save" button was not displayed when changing tactics. This release brings the first important change towards the implementation of a new competition in Top Eleven: From next season the first 8 clubs in the League will be promoted to the next level, and clubs in 5th to 8th position in the League will take part in this new challenge.We have also fixed an issue in Direct Transfer that occurred when a Manager tried to make an offer for a player.